First there was numerical evidence of North America’s early spring this year, now there’s geographic proof. 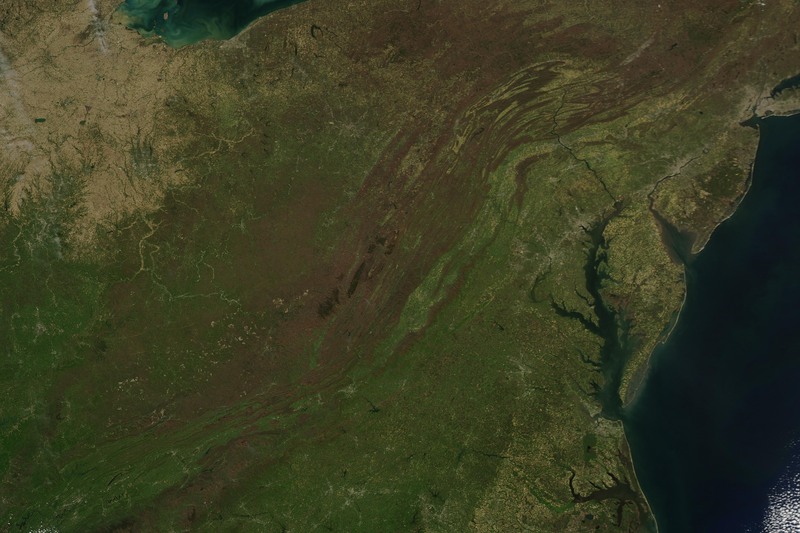 NASA’s MODIS sensor snapped this shot centered on the Appalachians showing what one expert called an “exceptionally early” greening. And if that and the numbers weren’t enough, here’s further pictorial evidence of March’s anomalous temperatures.